Kingsley Healthcare has launched a community charity initiative to mark its 20th anniversary year. The national care homes group has agreed a major sponsorship deal with East Anglia-based charity The Benjamin Foundation which supports homeless young people and disadvantaged families. Balance For Better – in every way - has been our rallying cry at Kingsley Healthcare since we bought our first care home. Now, as we prepare to celebrate our 20th anniversary, we are proud of the fact that over 75% of our staff are women. As a teenager Yvonne Howlett worked as a parlour maid in Scole Lodge. Now at the age of 98, she is living in the same grand property. 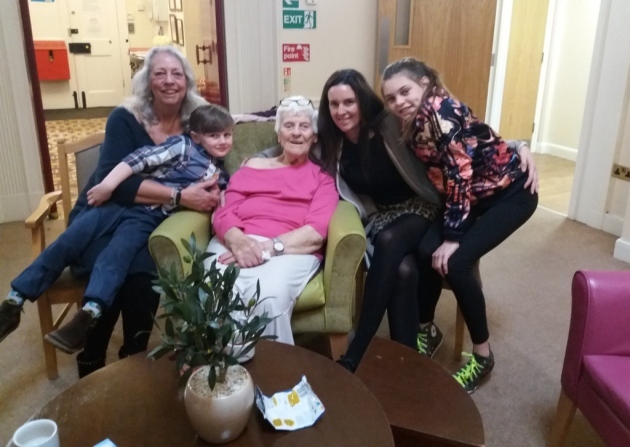 Having lived all her life in the Diss area, she is now a resident at the Oaklands Care Home. Kingsley Healthcare is championing International Women’s Day (IWD) and celebrating it at all its care homes as well as its Lowestoft head office. Events planned for Friday, March 8 range from special tea parties and coffee mornings to celebrations of residents’ life stories. For sharing the office of new home manager Sally-Jane Papworth is Hugo, her larger than life labradoodle. 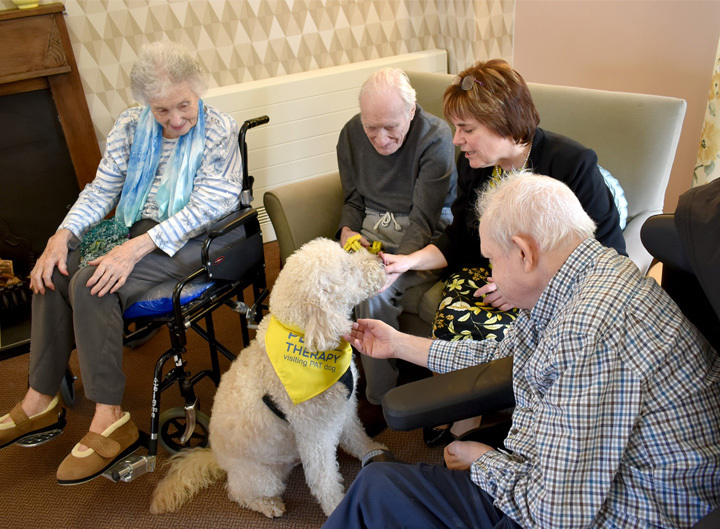 Hugo is a qualified PAT (Pets as Therapy) dog and has already made a big impression on residents at the home in Clackclose Road, Downham Market.